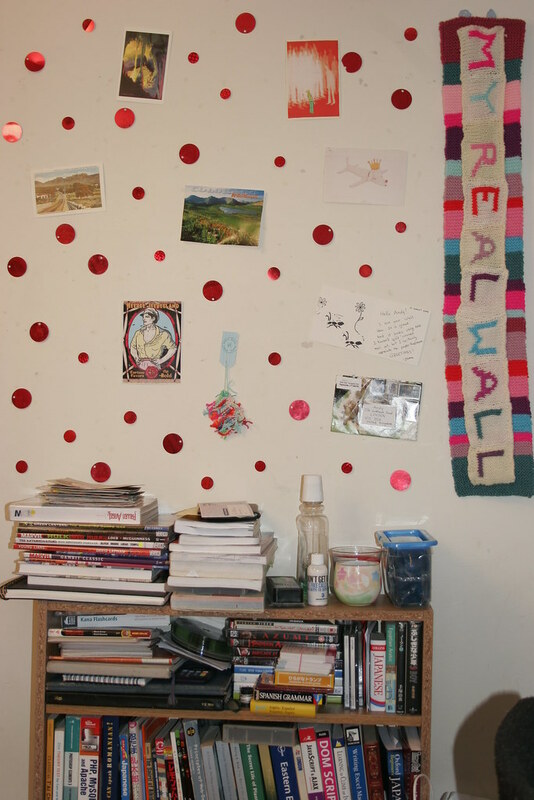 My real wall in my studio where I post some of my letters and postcards, as well as other things. The carpet card adds such a nice bit of energy and motion! 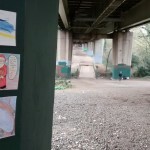 It’s been a long time since one of my cards appeared on one of your REAL walls, so don’t forget to stick my post up on your wall and photograph it – remember there’s more than one way to feature here on my REAL wall. 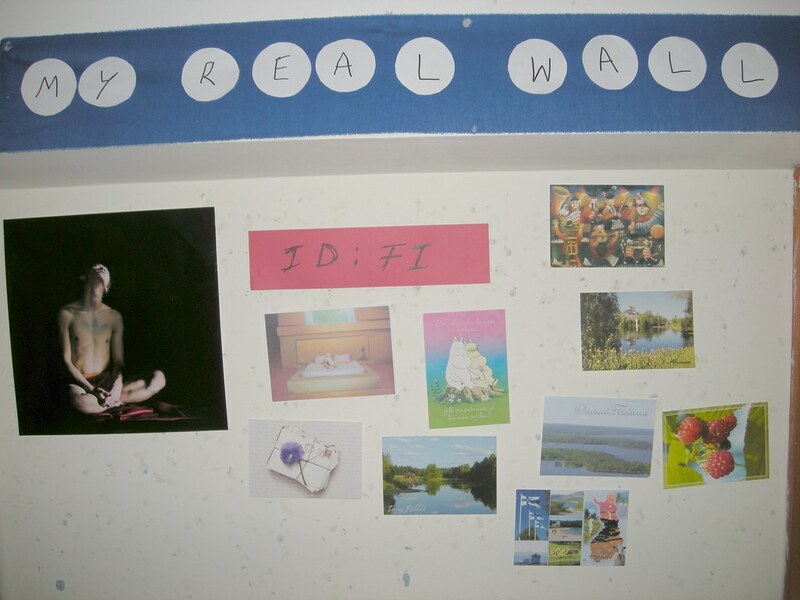 my REAL wall – August 26, 2009 – Carnival comin! 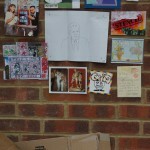 my REAL wall – August 26, 2009 – Carnival comin!, originally uploaded by andytgeezer. As I’m heavily involved with preparations for the Notting Hill Carnival at the moment, I find I come home with the strangest things in my pockets. You’ll probably see these attached to a costume coming down the road on Monday if you’re going to be there – watch out for me with the Yaa Asantewaa float! I tidied up Andy’s postcards today and I was wondering how many postcards he’s received from Finland. So decided to take all of them out and put it on the wall. And found that 9 out of 46 are from Finland. Not as many as I thought. 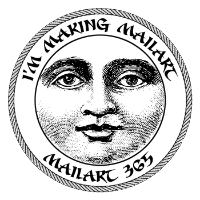 I took part in a mailart project run by @art_news on twitter in June 2009. 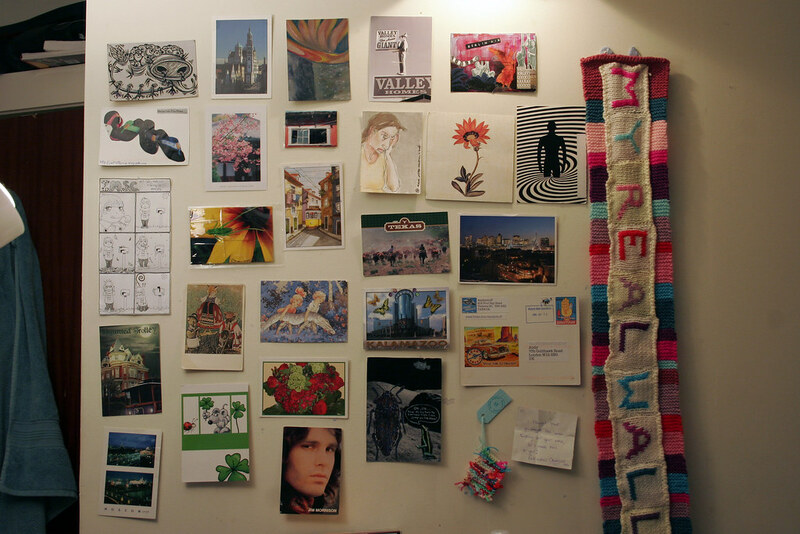 A list of 33 participants was sent out and we had a month to send a piece of mailart to every person on the list. Postmuse sent me a postcard a while back as part of her orphaned postcard project. 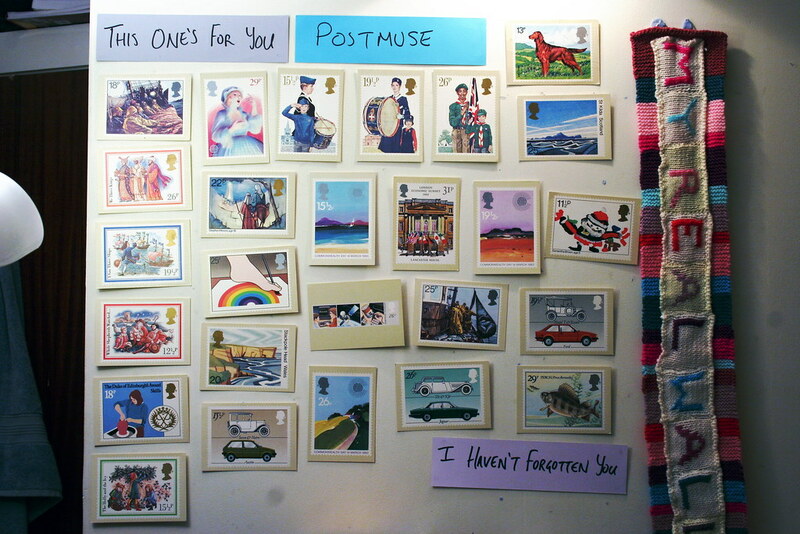 The way this works is that Postmuse sends you a postcard, you write on it and send it back. Thing is I plan to do something very interesting with it before I send it back, and since I haven’t had the time to do this thing I was afraid that Postmuse may have thought I had forgotten all about her. Not so! 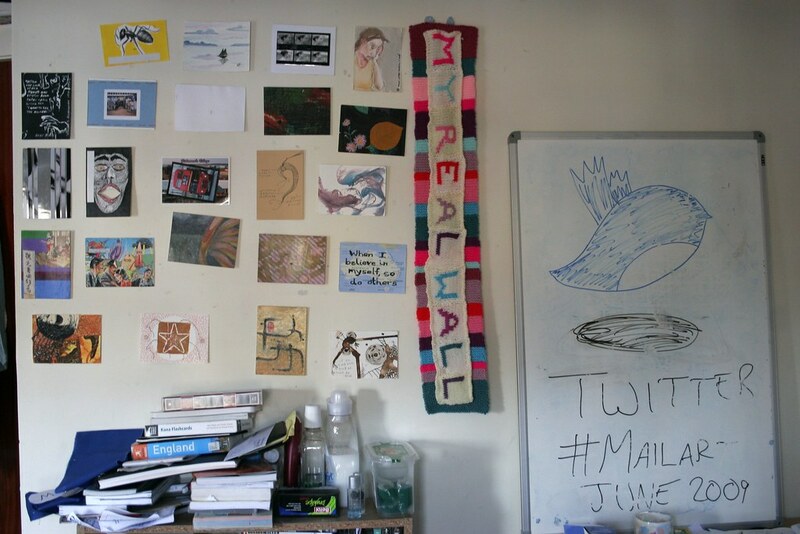 Okadascat’s knitted banner returns home to my bedroom wall and new post in from Knottyneedle and Elefantus. This is fully labelled in flickr, just click on the image to see the notes. 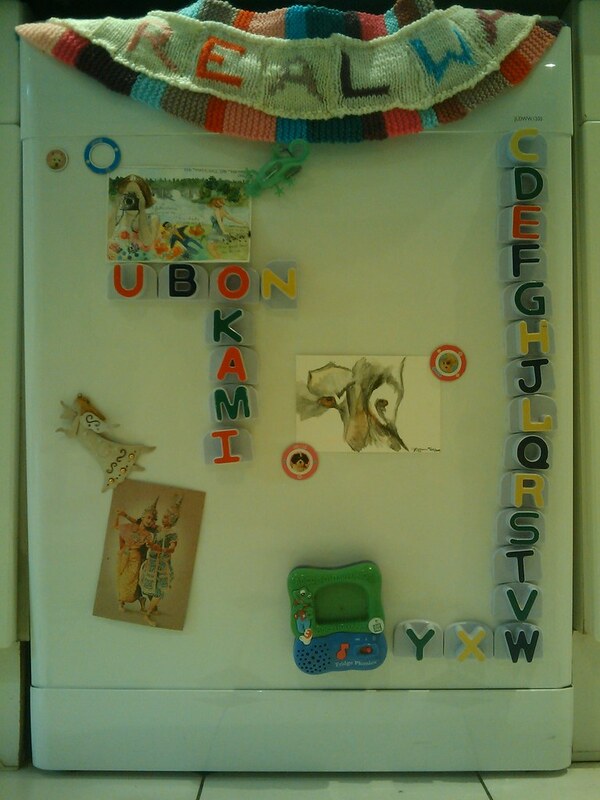 Today’s REAL wall features watercolours by Ubon from Thailand and Okami-whatever and is displayed on my girlfriends dishwasher. 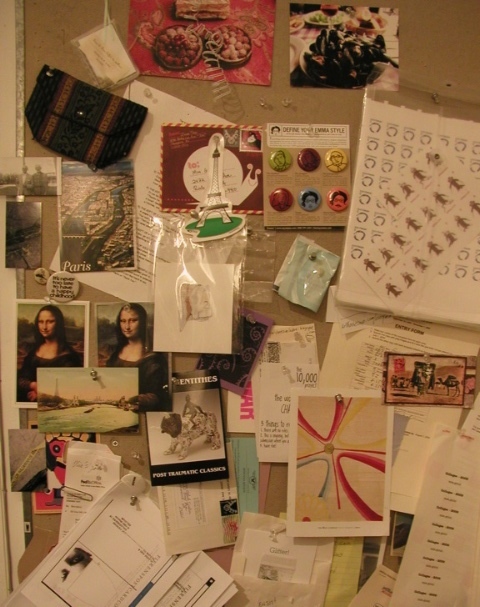 Brand new post from Lancilotto Bellini, tictac, my cousin Pete, Adamandia, 3 postcrossings, 1 long letter (redelivered) from the awesome Adel in South Africa, Karen from Hong Kong, Frips, Atte Ourie,Ry22, today I was bored, also known as the AWESOME okadascat. 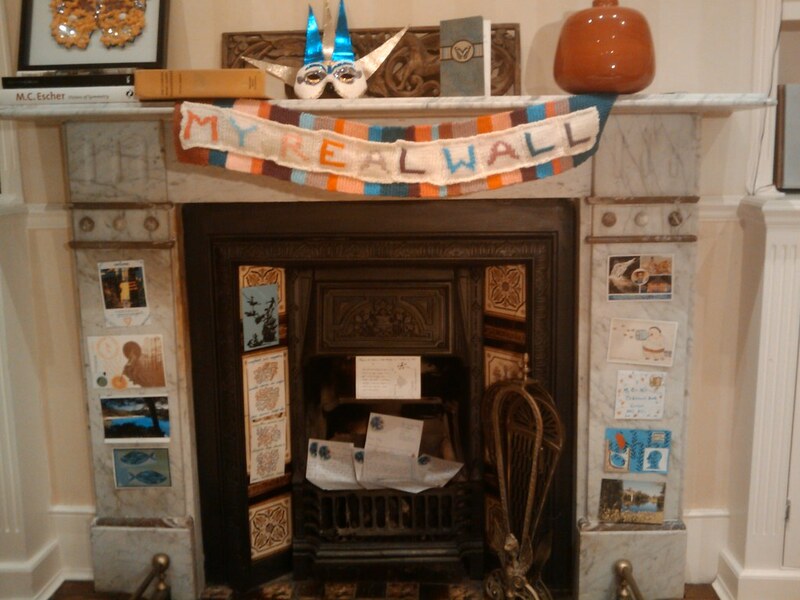 Big thanks to okadascat for the new my REAL wall banner, which will be the banner until I decide to use it as a cosy scarf.